Hey all! It’s already LATE Saturday night, so this is going to be short ;). I ended up going to Everest with a friend (bring a Kleenex because you’ll cry and a sweater because you’ll be cold! ), then dinner, wandering around a couple of stores, and dessert. We ended up out much later than I expected!!!! 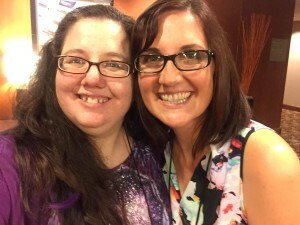 So here’s a few random pics from ACFW still along with all the “stuff” from this week! Me with Cathy West! She lives in Bermuda. I need to visit her ;). Belle Calhoun’s winners of Alaskan Wedding are: RLR888, Tonja Saylor, Julianne Archer, Nancy K and Kda61! Winner of Oslo Overtures by Marion Ueckermann is Karen Sue Hadley! Winner of Heidi McCahan’s drawing for Denise Hunter’s Falling Like Snowflakes is Jill Weatherholt! All comments are entered into our monthly Amazon card drawing and, right now, all comments are entered into our BIG GIVEAWAY!!! 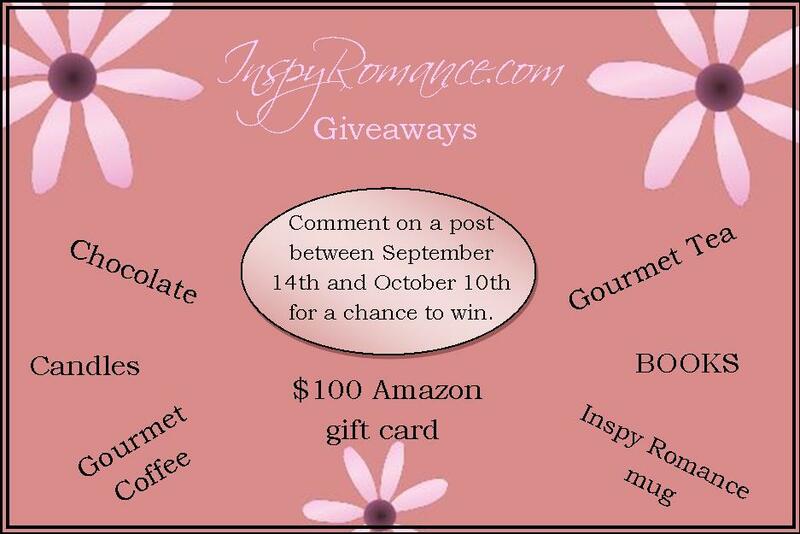 For all the details, check out the giveaways tab for the rules and restrictions! 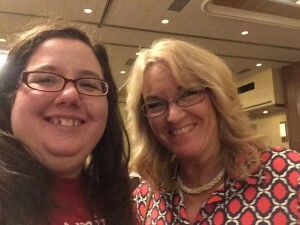 Me with Karen Witemeyer – have you read her books?! Monday: Marion Ueckermann talked about the dedications in her books. Tuesday: Lee Tobin McClain talked about why to try romantic suspense! Wednesday: Carol Moncado talked about a weekend in the life of an author – or #ACFW2015. The winner of Finally Mr. Write and Falling for Mr. Write is bcpeapod! Thursday: Hallee Bridgeman talked about the ACFW Conference and the experience of worshiping with other people who get you. Friday: Annalisa Daughety talked about 5 fictional dates you should try in real life. Saturday: Ginger Solomon talked about her upcoming release in the Snowflakes and Mistletoe collection! Me with Emilie Hendryx – my new agent mate! Tuesday: Elizabeth Maddrey: It’s Beginning to Look a Lot Like Christmas? You can always find new releases, news, permafree books, and audiobooks on the news tab! 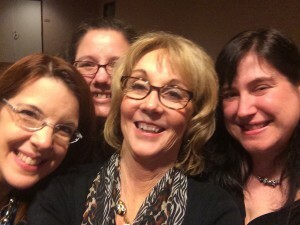 Jen Cvelbar (Jennifer A. Davids), me, Candace Calvert, Ralene Burke in my first selfie-stick pic! A complete list of Inspy Romance books by our authors is always available on our BOOKS tab! When she's not writing about her imaginary friends, Carol Moncado is hanging out with her husband and four kids in the big yard of their southwest Missouri home, teaching American Government at a community college, reading, or watching NCIS. 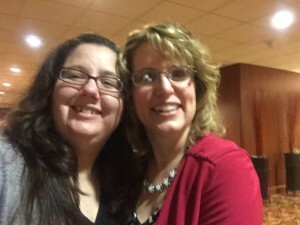 She's a member of ACFW and RWA, President and founding member for the MozArks ACFW group, and a category coordinator for ACFW's First Impressions. I always enjoy your blog posts. We’re so happy to have you! I hope I’m blogging in the right one to win! I read a lot of good inspirational books and this would be a wonderful gift! Yes! So glad to have you! Congratulations to all the winners. Looks like there were a bunch of them this week. Yep! So much fun having winners! So glad to hear that, JoAnn! Oh SO fun! It was great meeting you in person Carol and YEA for being “agent-mates”!!! YAY! I’m so excited for you!!!!! We’ll have to have a better hug and pic next year! Hi Carol. I am new to this blog and am enjoying it so much. On a personal note, I just finished your Montevaro Monarchy and Belles of Montagne books you have out to date. OMGosh it was a reading marathon. I could not put them down. Love these stories. I am looking forward to the next installment. Now I have to read your Mr Write series. Keep these stories coming. Hi, Sharon! We’re so glad to have you! Stop by often! We have daily giveaways on a pretty regular basis, and RIGHT NOW! all comments go into the drawing for our FALL GIVEAWAY! And there’s some GREAT stuff there! YAY! Couple weeks to go too ;). I’m so glad you enjoyed the books! I’m editing WINNING THE QUEEN’S HEART right now and can’t wait for it to release :D.
Well, another week went by, where do they all go so quickly?? Sounds like you had a fun time with a good friend, movie, dinner and dessert :-) Can’t beat that, time with people you love to hang with! How nice to see that I am a winner of Belle Calhoun’s book Alaskan Wedding. Thank you for the opportunity to win this book. I look forward to this blog in my inbox every morning. I really enjoy reading about all of the new releases. Now to get my Kindle charged so I can finish Carol’s book Finally Mr. Write. It is a very enjoyable book that I would highly recommend.